Caregivers, Stay CONNECTED when it really counts! For more information, visit the Family Health Network website. 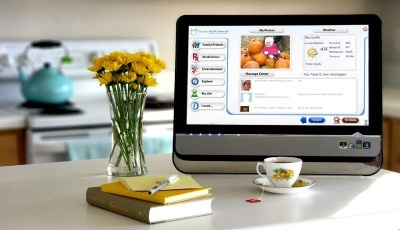 Easy touchscreen makes communicating a breeze for seniors! A how-to for caregivers based on the author's personal experience, research, and beliefs in the importance of the mind-body-spirit connection. 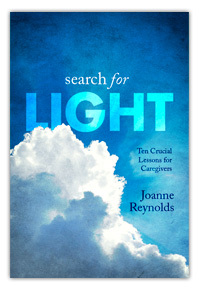 Through Search for Light: Ten Crucial Lessons for Caregivers, caregivers can become seasoned, confident and competent by making use of Joanne Reynolds' extensive experience as a caregiver to nearly a dozen family members and friends. Joanne has created several companion products that augment Search for Light--"Blueprint for Caregiving" CDs with brief printout chapters and audio CDs. Benefit from long experience and great information! 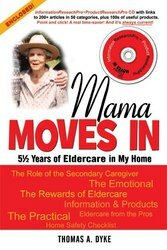 Tom Dyke, author of Mama Moves In and builder of the ResearchPro databases, provides a view of caregiving from inside his home and paints a loving, yet realistic picture of bringing an aging parent in to live with you. In a unique move, Dyke Publishing sends a CD along with each book purchased that allows readers to access updated information every time they search. The CD helps avoids the published data “information aging” problem by offering two databases—Information ResearchPro for elder care information and Product ResearchPro for elder care products--which are routinely updated using both managed updates and automatic Internet updates.